jQuery WYSIWYG site editor, no more code, just stick it! - Adding New Sites Every Day ! jQuery WYSIWYG site editor, no more code, just stick it! 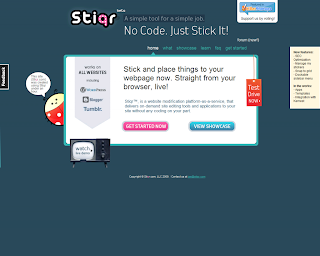 Stiqr delivers on-demand site editing tools and applications to your site without any coding on your part.